Founder, President, and still active designer, Tim combines his 29 years of landscape design experience (21 as a Registered NC Landscape Contractor) with projects developed on three continents. Specializing in a plant pallet that extends from the coast of South Carolina to the mountains of Virginia, Tim’s pragmatic approach to plant selection and arrangement has developed out of years of constant observation. Tim also specializes in site planning homes prior to construction (topographically). Lastly, he is adept at a full range of detailed hardscape development including pools, outdoor rooms and kitchens, fire features, driveways and parking solutions. Founding partner Bobby is a graduate of Sandhills Community College. 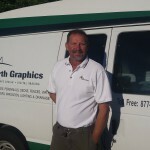 He has worked as a landscape technician and foreman on a wide variety of projects through his nearly 30 years of experience. Bobby brings a practical approach to landscape and hardscape construction, with a no-nonsense attitude to project management. 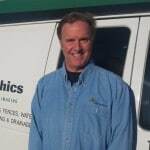 Project manager and Registered Landscape Contractor since 2002, Marc has over 20 years of landscape construction experience. As an NC State graduate, his background in both horticulture and turf management give a solid perspective to his approach with landscape development. 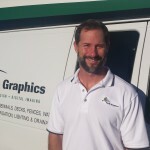 Marc is also a Registered General Contractor, and brings a wealth of building skills to site development especially in the hardscape applications of our projects. Co-Founder and CFO, Denise Wentz is a true orange and maroon “Hokie”—VA Tech ’83! 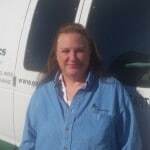 With almost 30 years of nursery and landscape experience, Denise has managed our office and coordination of operations for 20 years. She serves as the connect point for the entire company—joining clients to the right designer, customer service liaison for clients and contractors, and manages the stream of work and information between all points. The flow of all that happens at Earth Graphics starts and ends with Denise. Earth Graphics is a company built around a single purpose – to provide our clients with the finest landscape designs for their homes and businesses, and to produce these designs in the quickest and most meaningful format possible. While traditional landscape architects, designers, and design-build companies generally take weeks or even months to finish a design, our normal turn-around time is less than one day on most projects! The difference – each designer or architect works out of a state-of-the-art mobile office van – they stay on-site while creating their plan. Less travel means less cost to produce a plan, and a more productive designer. Also breaking with tradition, each of our designers is skilled and adept at producing “digital images” – a computer generated vision of a project with 4-5 years growth. These images help create vision, calm nerves, and create realistic expectations for our projects. Finally, and most important to the task of developing great landscape plans, each of our architects or designers is chosen individually, based NOT ONLY on their design ability, but also on their LISTENING SKILLS. Each designer is trained to interview our clients, to understand their desires, budget and futures plans, and match these criteria with the realities of each site, producing a comprehensive game plan for each individual. We strive to keep our architectural output fresh and unique. We invite you to experience the creative energy of this cutting edge landscape design process and product. We’re convinced you will agree that Earth Graphics can deliver the goods! Please enjoy browsing our web pages. Be sure to check out the newly updated Design Gallery, with photos of some of our recent projects. We look forward to serving you.